And with it, here's a spring dream savings opportunity just for KDnuggets subscribers. Attend these conferences to bloom into the budding analytics expert that you can be. 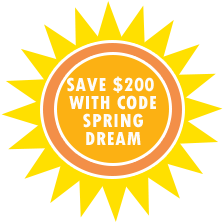 Enter code SPRINGDREAM upon checkout to keep up to $200 when you register by April 2nd for any of the Chicago 2016 conferences.